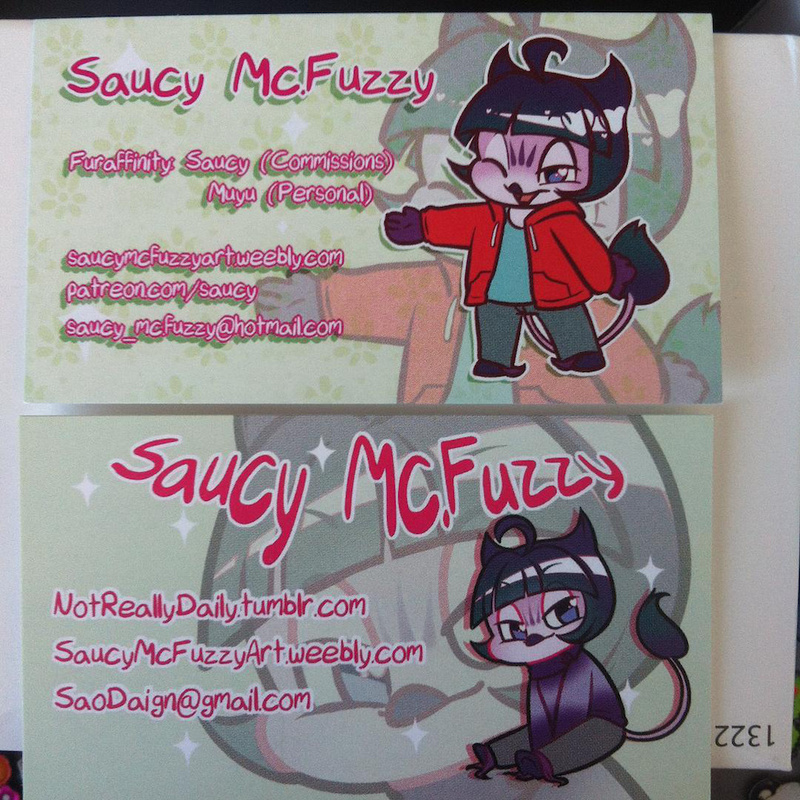 New Business Cards are in!! Got my new furry-specific cards today! Old ones will still be used for "regular" events. Why only FA and not IB you ask? FA is still the most used site, so there is a lot more chance that people will have an account on there! But, because it's useful, I left the back side blank, so if someone asks me "uh do you have an account on X?" and I do, I can be like "YEAH let me write that down for you!" Or if they take the card and only check it out once at home, they can still email me about it! But yeah, in general, I am MUCH more pleased with the new one. The structure of it is better, it looks brighter thanks to the change of clothes and text colour (white on pink on white instead of pink on white) AND the drop shadow gives it nice dimension! And the second picture is just like.... me realizing that 500 cards is A LOT but it was cheap (i love discounts) so it's ok. These cards cost me (excluding shipping, and thanks to discount) $0.02 each! And most stores I went to for quote ended up at around ten times that! :D people tend to appreciate cards!